Windows 8.1 could be restricted to super cheap tablets. When Microsoft unveils Windows 9 on 30th September, there are few things I would hope to see. First is a shift in its pricing structure, where Microsoft moves to a model that is more akin to Apple, offering software updates for free. If that is not possible, I would at least like to see upgrades made available at a lower cost, i.e. below £50. However, what I believe is more likely is for Microsoft to announce a subscription model for its operating system (similar to what it is doing with Office 365). Secondly, I think it would be a great opportunity for Microsoft to clarify its product offering so that there is less confusion between what is offered in the home, professional and enterprise versions. And finally, it would be nice to see Cortana make its way into Windows 9. Voice is becoming more important in the ever shrinking world of primary computing devices, therefore it seems like a natural progression for them to showcase this feature on Windows 9. · Metro apps: For most people, one of the most frustrating aspects of Windows 8 was the launch of the larger tablet specific metro apps when not requested. Therefore a big step forward for Windows 9 would be to forbid metro apps from launching when in Desktop mode. While, this may be a strange feature to request, I think many, like me, would welcome the return of the old Start Menu. No one outside of Microsoft thought it was a good idea to remove it. Luckily, if the unofficial videos are anything to go by, we might see a slightly modified Start Menu design with integrated miniature metro app tiles alongside it make it into Windows 9. · Disk space: Currently Windows 8 takes up almost a sizeable chunk of space on my hard drive, which could be an issue on the smaller disk size tablets. Therefore, I would welcome a reduction in the size of Windows, whether through reducing features or other alternatives. · Charms menu and mouse movements: Another frustrating aspect of Windows 8 is the charms menu and unwelcome mouse movements which activate it. · Higher resolutions: Finally, my hope is that Windows 9 increases its support for high DPI displays such as the Samsung Ativ Book 9 plus or Lenovo Yoga Pro 2 with 3,200 x 1,800 resolution displays. Currently, they are hard to use and the excellent resolution potential is wasted. Overall, I believe that Microsoft needs to learn from their mistakes. It should avoid forcing another disaster of an operating system on a customer base which was comfortable working in a stable manner on an already adequate operating system. It should also shift their mentality and realise that the competition is not Apple but Google with its Google Docs, Gmail, Android, Chrome browser, Chrome operating system, Chromebooks and of course the Google search engine. How do you compete against free when free is actually quite good? Microsoft should take advantage of the fact that people are still content to pay for an operating system, primarily because they are familiar with it. If done correctly, Windows 9 could lead to an increase in mobile device sales for Microsoft's beleaguered mobile OS. Windows Phone is doomed to fail no matter how stubborn Microsoft remains. 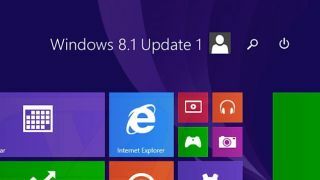 However, a lean operating system optimised for tablets could see Windows 9 bite into Android and iOS sales. Though some of Microsoft's divisions seem to be completely different, in recent years, the company seems to be moving to a more unified platform. In the ideal world, we would write our programmes once and it could run on all products. It is in Microsoft's interest to allow developers to write a Windows Store app on a PC and then simply deploy it on Windows Phone (or vice versa). Currently there are too many Microsoft components that are struggling to keep up with the competition, e.g. Office and Google Docs, Internet Explorer and Chrome, Xbox and Playstation, through an integrated Windows 9 platform these components can succeed and potentially claw back their market share.